Summary: The affect that evolution has had on America is hair raising! Virtually every area of thinking has been negatively affected by it’s lies and deception! Evolution is a fulfillment of these verses! 1. It Dictates Our System of Education. It was voted by the Associated Press to be the top story of 1999: the Kansas Board of Education’s decision to de-emphasize some aspects of the teaching of evolution in Kansas’ schools set off a firestorm of controversy. "A sponsoring committee headed by Bette Chambers has secured the signatures of 179 scientists, educators, and religious figures to a statement which they say is being sent to all major school districts in the United States. The statement, along with several articles attacking the concept of creation, was published in the January / February 1999 issue of The Humanist, published for the American Humanist Association and the American Ethical Union. —Resist and oppose measures currently before several state legislatures that would require creationist views of origins be given equal treatment and emphasis in public-school biology classes and test materials. —Reject the concept, currently being put forth by certain religious and creationist pressure groups, that alleges that evolution is itself a tenet of a religion of `secular humanism,’ and as such is unsuitable for inclusion in the public-school science curriculum. —Give vigorous support and aid to those classroom teachers who present the subject matter of evolution fairly and who often encounter community opposition. "— Humanist statement, The Humanist, January-February, 1977. Here’s news for every science teacher in America, It’s legal for you to teach creation as an alternative to evolution! The 1st Amendment allows it! But creation science teachers have pretty much given up on public school because of the intimidation and ridicule received on campus around the country! 2. It Dominates Our Scientific Thinking. A resent survey published in a leading science journal “Nature” showed that the National Academy of Science, are very much against God. It showed that of its 517 members that responded: 72.2% were overly atheists, 20.8% were agnostic, and 7% believed in a personal God. In his book Reason in the Balance, Phillip Johnson says, “This "scientific elite" are our modern priests and evolution our "creation myth." 3. It Destroys Our Spiritual Teaching. Evolution has taken over most areas of thinking, as we know it today! It is easy to think of evolution as a world religion beginning in the 20th Century. It’s a concept of faith practiced by millions today every day in our classrooms of every grade! 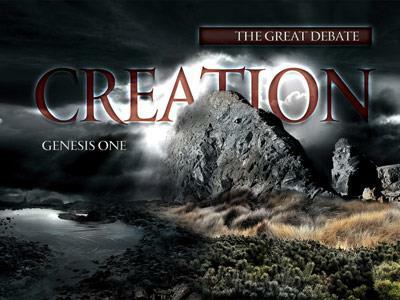 I am convinced that the real agenda of evolutionist is to use it to destroy man’s faith in God, divine creation and particularly Christianity! The affect that evolution has had on America is hair raising! Virtually every area of thinking has been negatively affected by it’s lies and deception!